OXFORD, Miss. – One grew up in the age of “flower power” and the Vietnam War, while the other was born after the launch of Apple iTunes, but both are part of the University of Mississippi’s 2018 freshman class. A 64-year-old grandfather and military veteran who takes all his classes online from his home in southwest Mississippi, and a 14-year old wunderkind who aspires to be a surgeon make up the extreme outliers in the incoming class that spans 50 years in age. Ryan Mays was home-schooled by his mom, a college professor with a Ph.D., before being accepted into UM. He entered as a 14-year-old, one of the youngest students in the history of the university. The 2015 freshman class had four 15-year-olds, but it’s highly unusual to find a student Mays’ age at any university. If his life were normal, he would be beginning ninth grade, but there’s nothing typical about Mays. From an early age, his mother, Vikki Spann, knew he was far more intellectually advanced than most peers. He’d been reading since he was 3 years old. 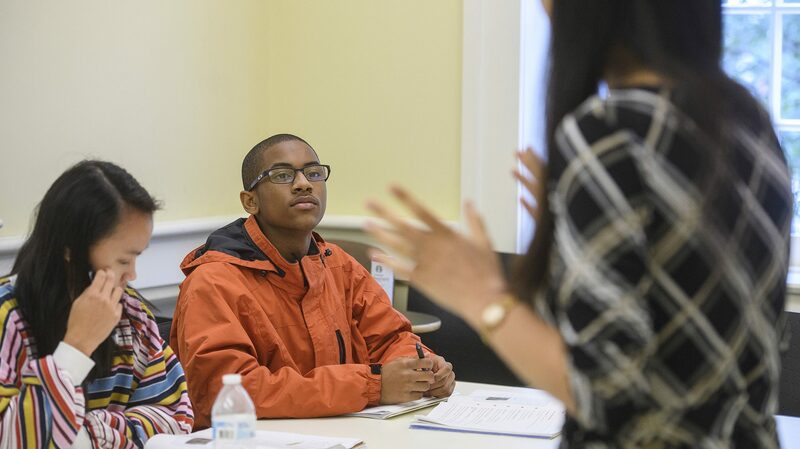 Mays’ Ole Miss educational journey began over the summer, when he enrolled in intensive Mandarin Chinese courses as a member of Cohort 16 in the Chinese Language Flagship Program. The Mound Bayou native has a double major in Chinese and biology with a minor in neuroscience. One of the first signs that he would be interested in foreign languages came when he was a baby. Mays would take the family’s TV remote and change the language from English to French, Spanish or Chinese and watch it. The bright, soft-spoken youth completed his home-school curriculum through a 12th-grade level, but has also been a student and member of the Institute for the Study of Languages and Cultures at Mississippi Valley State University since 2013. There, he was exposed to Arabic, French, Chinese and Russian languages. He also studied abroad in Almaty, Kazakhstan, and Limon and San Jose, Costa Rica. He is a member of the Tri-County Workforce Alliance Health Mentorship Program, where he has had the opportunity to shadow Dr. Gregory Norwood, an OB/GYN. Before joining the mentorship program, he interned with Dr. Timothy Lloyd, a veterinarian. He hopes to shadow a surgeon soon. So far, his age doesn’t come up here in class much, except when one professor uses him as an example of good study habits for others to follow, he said. He doesn’t find himself overwhelmed with going from a class of one to large college classes. He’s trained himself to handle it. Mays hopes to become a multilingual surgeon. His mother is an adjunct at MVSU, seeking employment in the Oxford area to eliminate their nearly three-hour daily commute to campus. 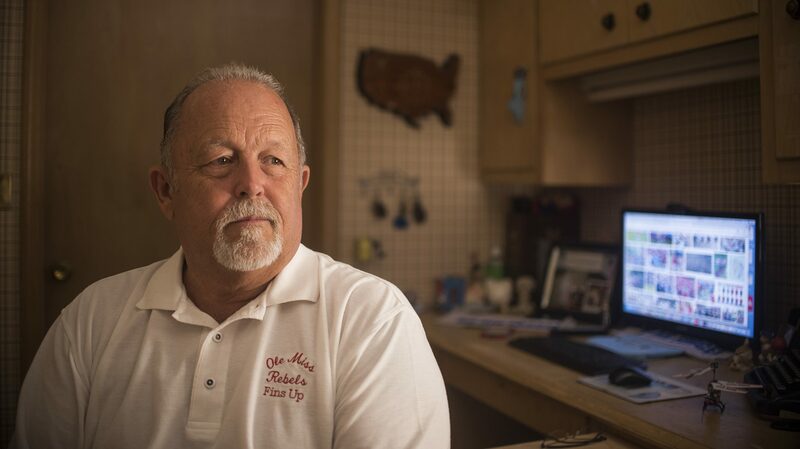 John Smith, of the Amite County town of Gloster, graduated from high school in 1973, but several mitigating circumstances preventing him from attending college. “I don’t think a lot of people in America think about it, but college was not an option for people who didn’t have the correct income bracket when I was growing up,” Smith said. “My dad was pretty successful considering he didn’t complete the fifth grade. It just wasn’t an option for me. Instead, he embarked on a 30-year military career, that started in the U.S. Air Force, where he was active duty for eight years, and then he spent 22 years in the Mississippi Air National Guard. During his military career, he took some community college classes. He retired as a senior master sergeant in 2007 and went to work for a defense contractor based in Atlanta for nine years. Smith spent the bulk of his time on the road. When he decided to leave that job, it was time to work on a goal that had been on the back burner for many years: finishing college. He decided to pursue a degree through Ole Miss Online, which offered him flexibility, convenience and access to the university’s faculty from the comfort of his home, 265 miles from Oxford. He had taken about 30 hours of coursework at community college that he transferred to UM. He’s taking a law class, Writing 102, Religion 101 and Philosophy 101 this semester. He’s aiming for a bachelor’s degree in philosophy and religion. He motivates himself to stay on top of his classwork. For him, college is about finishing something. He said he doesn’t intend to pursue another career. He and his wife of 44 years, Linda Smith, have five young grandchildren, and he wants them to be there when he walks across the stage at his graduation. This will hopefully show them the importance of education at an early age, he said. Mays and Smith are a reminder of how many different kinds of people make up the Ole Miss community, said Brandi Hephner LaBanc, UM vice chancellor for student affairs.